Following the end of her hit show, Keri Russell attended the For Your Consideration event for FX 'The Americans' on Wednesday(May 30th) at the Saban Media Center in LA. 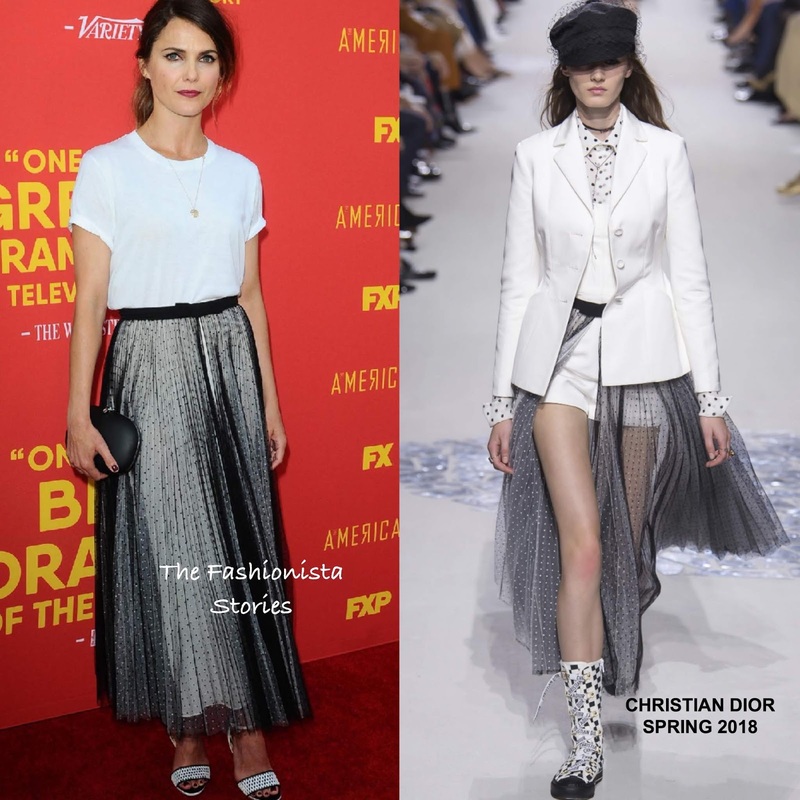 Keri known for wearing YSL a lot but on this occasion, she wore a basic white T-shirt and a CHRISTIAN DIOR SPRING 2018 sheer black dotted layered wrap skirt with a velvet bow waist panel. I do like this look, it's casual but still chic and works for the occasion. Also those CHRISTIAN LOUBOUTIN sandals are everything, love them. A JEFFREY LEVINSON clutch, a colored lip and a side parted ponytail finished up her look. Are you feeling Keri's look?